Local government must be accountable to local communities. In doing so, municipalities must structure their administration, budgeting and planning in a manner that gives priority to the basic needs of the community, and promotes the social and economic development of its people. Local government is constitutionally mandated to provide basic services including the delivery of water and sanitation services. Water service authorities – defined as municipalities that provide water and sanitation services – account for over two thirds of the country’s 257 municipalities. But these municipalities are experiencing systemic issues that adversely affect their ability to deliver basic water services to the people in their area. The majority of South African households enjoy access to tap water, but some people are still forced to fetch their water from rivers, streams, dams, wells or springs. National government has stipulated that the minimum quantity of potable water is 25 litres per person per day or 6 000 kilolitres per household per month. Just over a third of consumers benefit from their municipality’s free basic water services. Access to sanitation has seen a stark improvement. In 2002, less than two thirds of South African households benefitted from access to improved sanitation facilities defined as flush toilets connected to a public sewerage system or a septic tank, or a pit toilet with a ventilation pipe. In 2017, access has increased to 82%. But 62 042 units provided by municipalities in 2017 were still provided using the bucket toilet system. Despite the improvement in providing access to water and sanitation facilities, there has been a steady decrease in the number of households that are satisfied with the water services they receive. Illustrated by the number of service delivery protests – 144 protests in the first six months of 2018 – households are increasingly dissatisfied with the quality, quantity, access and number of interruptions in water delivery. Former Finance Minister Nhlanhla Nene demonstrated the crippling financial state of municipalities when, earlier in 2018, he revealed that 112 municipalities had insufficient funds to meet their expenditure needs for the financial year and only 14 municipalities had approved financial recovery plans. A large contributor to the dire state of municipal finance is consumer debt. While more households have access to piped water, there has been a steady decline in the number of households that pay for their piped water. Non-payment by consumers for municipal services as a whole amounts to R143.2 billion as at 30 June 2018. Households account for the bulk of consumer debt owing to municipalities (71.2% of total debt), while government accounts for 5.5%. Of this debt, only R27.2 billion was debt accrued within the last 90 days of the report, which National Treasury notes as realistically collectable. This significantly influences the ability of local government to fulfil its functions and address the governance challenges that municipalities face. In addition, municipalities are unable to pay their creditors, like water boards, for the provision of water services. Currently, municipalities owe R13.1 billion to water boards and the Department for water services. But the critical financial position of municipalities cannot be attributed solely to municipal consumer debt. The Auditor-General’s latest municipal audit opinion reported that only 33 municipalities (13%) received a clean audit, with over R28 billion in expenditure declared irregular. The Auditor-General also recorded the highest percentage of non-compliance with key legislation since 2013. 73% of municipalities were given material compliance findings against them on supply chain management (SCM). The lack of accountability and systemic governance issues within local government remains a serious concern. The poor financial audits against municipalities across the country have highlighted serious governance and accountability issues in local government. In August 2013, the Auditor-General bemoaned the lack of accountability in municipalities and urged local government to address it by ensuring action is taken against guilty parties. Of particular concern were the weaknesses identified in internal control structures. The Auditor-General provided recommendations then to rectify the problem, but five years later the same governance challenges persist. The Auditor-General’s call for accountability remains largely unheeded even after the 2016 local government elections. Little meaningful action is taken against officials for non-compliance with SCM procedures, fraudulent activity or improper conduct reported by the Auditor-General. This is set to change with the Public Audit Amendment Act which allows the Auditor-General to refer material audit irregularities to the Hawks for further investigation, demand the recovery of lost funds from fruitless and wasteful expenditure and order the implementation of remedial action. Municipalities generally lack the technical knowledge, skill and expertise necessary to perform core operational and financial functions. This deficit includes planning, engineering and project management and is a major constraint to effective service delivery. In addition, municipalities are unable to fill vacant posts. Of the 317 756 funded municipal posts that were available in 2017, 45 219 of those posts remained unoccupied, translating to a national vacancy rate in local government of 14.2%. Posts are particularly difficult to fill in rural areas. The Auditor-General, in his municipal audit opinion, singles out vacancies and instability in key positions within municipalities amongst the reasons for the accountability failures in municipalities. In addition, inadequate skill has led to a lack of oversight by municipal councils. The Municipal Systems Act compels every municipality to adopt a single, inclusive and strategic plan – an integrated development plan (IDP) – for the development of the municipality which, amongst various other stipulations, must align the municipality’s resources and capacity with the implementation of the plan. Included in the IDP process, each municipality (that is defined as a water services authority) must develop a water services development plan (WSDP), which maps out the municipality’s plan for providing water services to all its consumers. As crucial as these plans are, IDPs and WSDPs are often outdated or are not properly implemented. 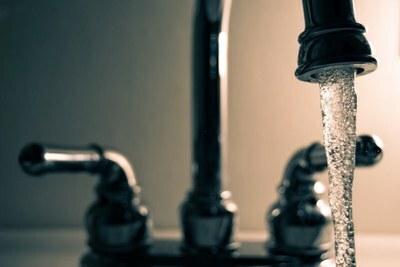 The Auditor-General noted that almost half of the municipalities defined as water services authorities did not have a maintenance plan for their water infrastructure. Many municipalities also failed to conduct any conditional assessments of their infrastructure to inform their plans and budgets. The municipal trend of failing to plan adequately has left most municipalities vulnerable to crisis management. Maintenance, for example, is in most cases no longer performed as a preventive measure but on a reactive basis. Municipalities are tasked with developing and maintaining infrastructure to ensure that water services are delivered, amongst other services. But some municipalities are facing a serious backlog in the infrastructure maintenance and rehabilitation necessary for providing potable water and sanitation services, as a result of severe financial and capacity constraints. The Auditor-General reports that while funding and support from national government is generally available for municipal infrastructure, municipalities underspend on their allocations and fail to deliver on projects because of poor financial, performance and project management. Inadequate monitoring and oversight of contractors, planning and poor quality of workmanship leads to unnecessary project delays. Targets remain unmet or seriously delayed. As a result, many municipalities lose almost a third of their water supply. South Africa, as a water scarce country, has a major problem with non-revenue water. This is defined as water that is lost through physical leaks, commercial losses like billing errors or theft, and what is termed unbilled authorised consumption like fire fighting. It is estimated that, on average, non-revenue water accounts for up to 37% of water used. Therefore, no payment is accounted for over a third of water used in South Africa. This contributes further to the grim financial position in which municipalities find themselves. The proper functioning of wastewater treatment works is also a major concern. According to the Green Drop Report, last published in 2013, almost half (49.6%) of South Africa’s 824 wastewater treatment facilities were in a critical or poor condition requiring urgent attention. No data on their condition has since been published. There has been an increase in reports of untreated sewage overflowing into primary strategic water resources, severely compromising the quality of water. National government has recently intervened in the Vaal River pollution crisis, mobilising the military to assist with engineering and other expertise. It has also led to an urgent inquiry by the South African Human Rights Commission which is currently underway. The challenge in delivering services is directly linked to issues of governance, planning and accountability. The need for good governance and technical capacity is essential to improving municipal functioning. The Minister of Cooperative Governance and Traditional Affairs (COGTA), ZweliMkhize, has developed a plan to remedy the problems focusing on governance, financial management, infrastructure delivery and political infighting. The plan centres on 87 municipalities that require urgent attention. The long-term objective is to develop major infrastructure and investment into areas to improve economic growth and income revenue, and to root out maladministration. COGTA is also working on easing political tension within municipalities. These interventions need to bear fruit if municipalities are to continue functioning. This brief forms part of a research project into water in South Africa, financed by the Friedrich Naumann Foundation. Stats SA, The state of basic service delivery in South Africa: In-depth analysis of the Community Survey 2016 data, 2017 accessed at http://www.statssa.gov.za/publications/Report%2003-01-22/Report%2003-01-222016.pdf. Stats SA, 2017, General Household Survey, at p 35-6, accessed at http://www.statssa.gov.za/publications/P0318/P03182017.pdf. Stats SA, 2018, Non-financial census of municipalities for the year ended 30 June 2017, at p 4, accessed at http://www.statssa.gov.za/publications/P9115/P91152017.pdf. Stats SA, above n 3, at p 2. See http://www.municipaliq.co.za/index.php?site_page=press.php. These protests are not restricted to water services delivery. See Stats SA General Household Survey, above n 2, at p 38-41. See news report at https://ewn.co.za/2018/05/08/nene-112-municipalities-without-cash-to-carry-out-services. From 67.3% in 2008 to 41.1% in 2017. See Stats SA, General Household Survey, above n 2, at p 38. National Treasury, 2018, Local Government Revenue and Expenditure: Fourth Quarter Local Government Section 71 Report for the Period 1 July 2017 – 30 June 2018, accessed at https://www.gov.za/sites/default/files/speech_docs/4th%20Quarter%20S71%20Publication.pdf. AGSA, 2018, MFMA audit report, at p 2, accessed at http://www.agsa.co.za/Portals/0/Reports/MFMA/201617/GR/MFMA2016-17_FullReport.pdf. Municipal Demarcation Board, 2012, State Municipal Capacity Assessment 2010/2011: National Trends in Municipal Capacity, accessed at https://municipalmoney.gov.za/static/state_of_municipal_capacity_assessment_2010_11_national_trends_report.a5b5a4d2722e.pdf. Stats SA, above n 3, at p 12. AGSA, above n 10, at p 21. WRC, 2012, The State of Non-Revenue Water in South Africa, accessed at http://www.wrc.org.za/wp-content/uploads/mdocs/TT%20522-12.pdf. National Treasury, Medium Term Budget Policy Statement Speech: The economy at a crossroads, 2018, at page 9, accessed at http://www.treasury.gov.za/documents/mtbps/2018/speech/speech.pdf.